So you read the above? As shown, AR IDs in column A, Analysis or Interim field Keywords, and end as column and row terminator. Save as comma separated CSV, encoded in UTF-8 Unicode, Libre Office and Google Docs' default format. 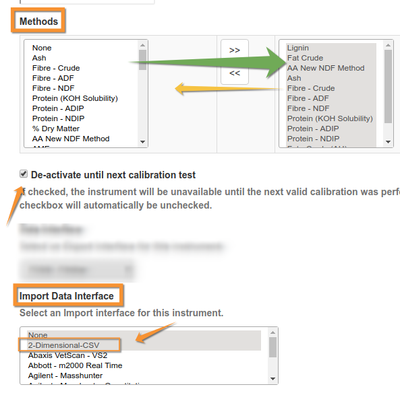 Configure a Generic Import Method and Instrument to masquerade as physical instrument Choose a meaningful title, it'll be listed among the real instruments in look-ups. Assign the Methods you allow to use it. 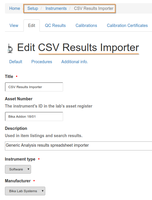 Be sure to select 2-Dimensional-CSV as Import Interface.